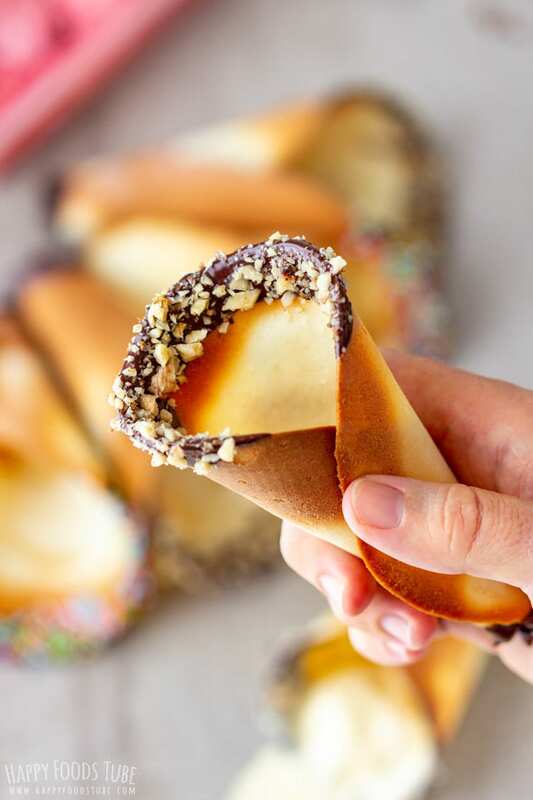 These homemade ice cream cones are crunchy and have a sweet surprise in the bottom. 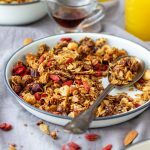 Dip them in chocolate and sprinkle with anything you like from chopped nuts, shredded coconut to sprinkles! 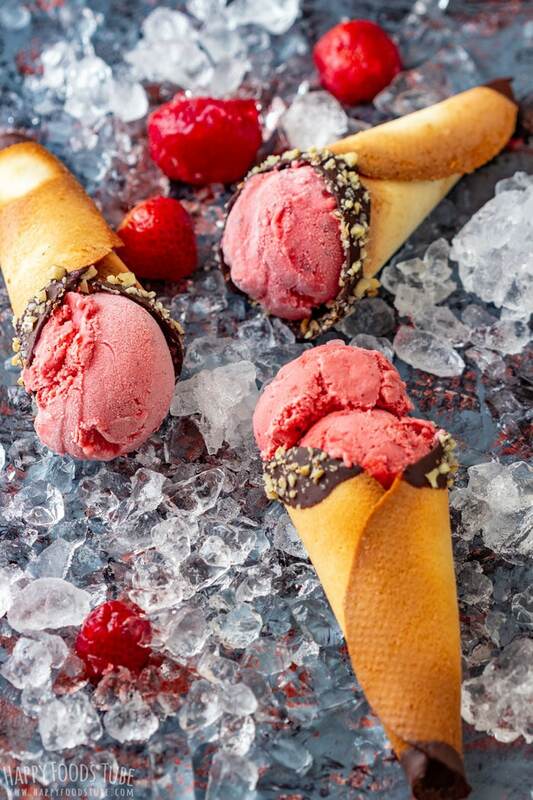 Guys, if you wanna impress your guests, make homemade ice cream cones! These will go with any kind of ice cream. 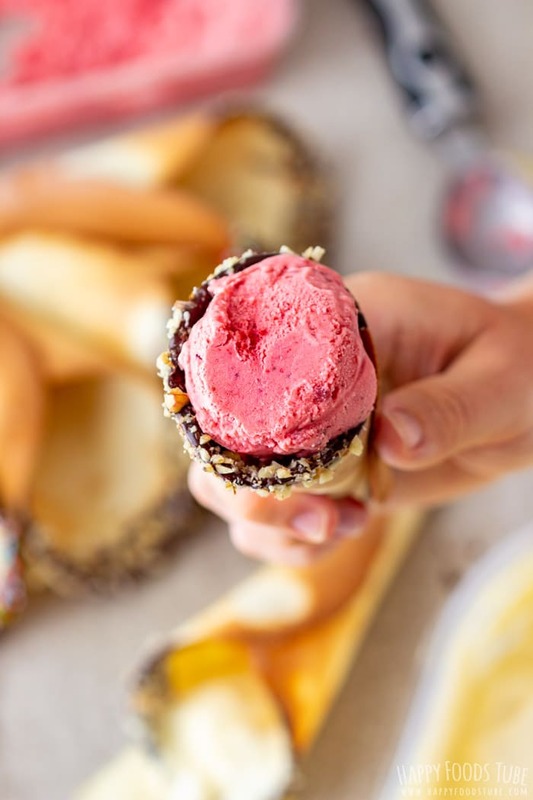 My personal favorites are any homemade ice creams (Homemade Strawberry Ice Cream, Blackcurrant Ice Cream, Mint and Pistachio Ice Cream) but you feel free to fill these homemade ice cream cones with any ice cream you like! 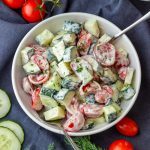 While the process is simple, you will need a bit of a practice rolling the cones. They might not come out perfect every time you make them but don’t be put off by this. Don’t attempt to bake more than 2 cones at a time. Work fast. The slower you try to shape them into cones the higher the chance they will get hard. This means you won’t be able to create a proper cone shape. 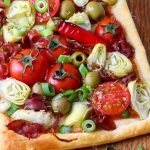 There is one trick – placing the baked dough back in the oven for a few seconds so it goes softer. Then you will be able to shape again. 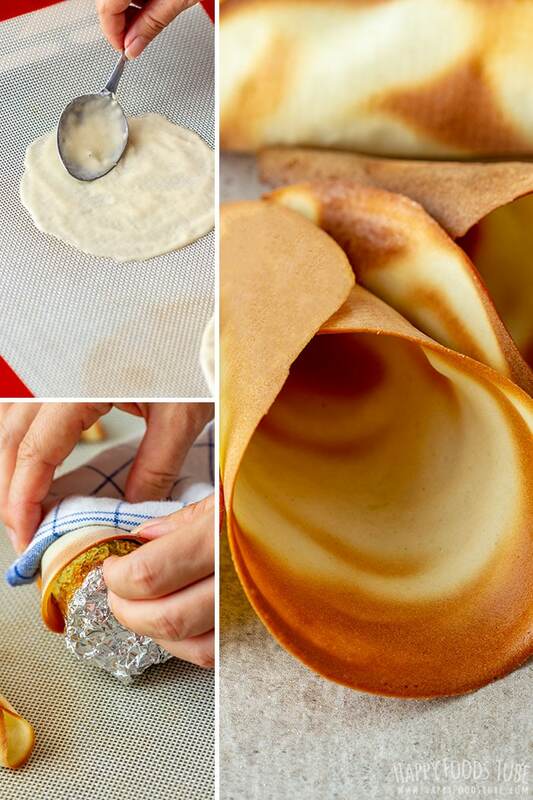 Because you need to shape the cones right after you take them out from the oven, count with pretty hot surfaces and the cooked dough. 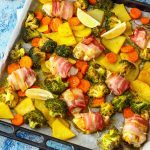 I use a clean kitchen towel to reduce the heat but if you have oven gloves (the proper ones, not the oven mitts, I highly recommend using them as well). Homemade ice cream cones might not all look perfect but they all taste delicious! The thicker the batter layer the longer time they need in the oven. 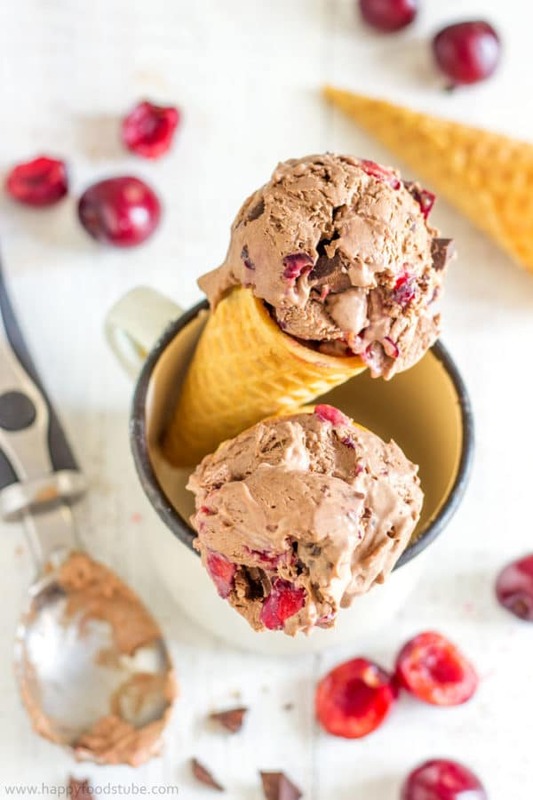 To sum this up – making ice cream batter is quick and easy, spreading the batter onto a baking sheet is easy, shaping the cooked batter into a proper cone takes a few trials and errors but it’s nothing you can’t manage. 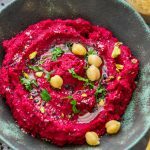 These can be shop-bought or homemade. To make them at home simply take a sheet of aluminum foil and make a cone out of it. 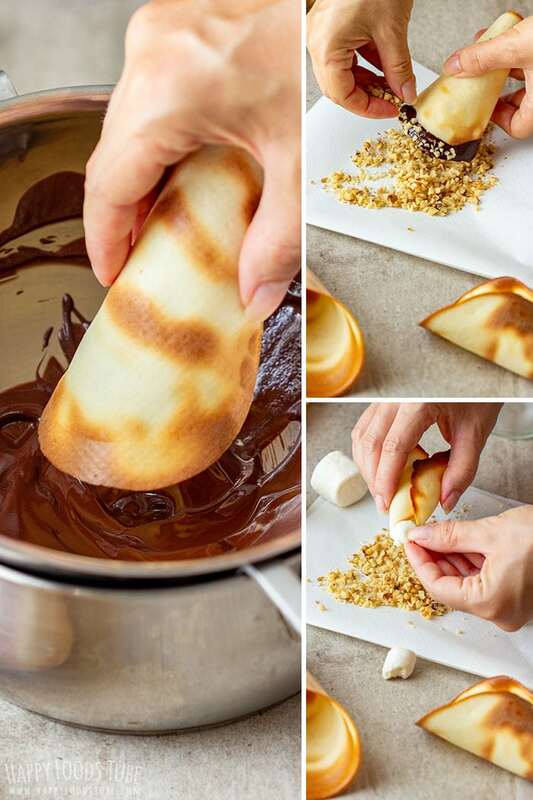 Get some marshmallows and tear them into small pieces and either drop them into each cone, push them down with the other end of a spoon/fork if needed and cover in melted chocolate. No matter what toppings/add-ons you choose, you will need to coat each ice cream cone in melted chocolate first. To make 8-10 cones I used 2 ounces dark chocolate (60g). Now beware that in the heat of summer the chocolate will melt rapidly and things will get pretty messy. To reduce this you can just dip the tip in the melted chocolate or use only a piece of marshmallow to “seal” the tip to prevent the ice cream from leaking through. Store these homemade ice cream cones in an air-tight container (plain ones) or in the fridge (chocolate coated ones). They should last up to 3-4 days. 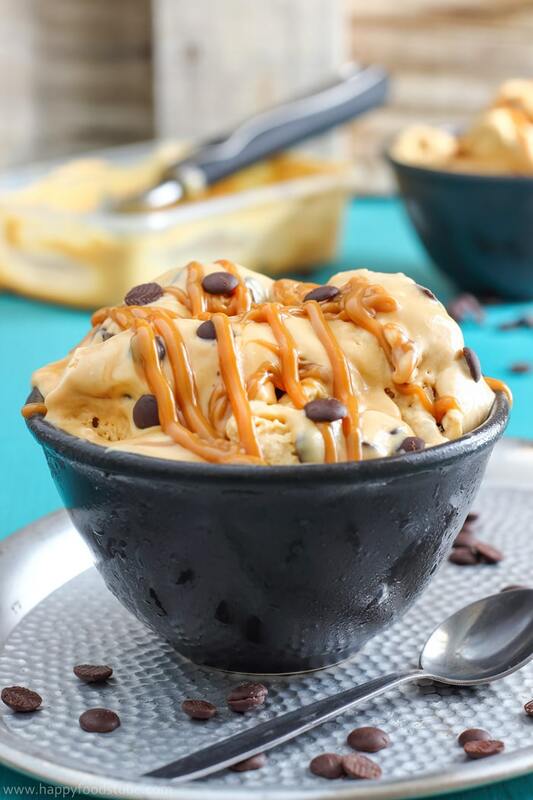 This recipe is not suitable for stove top (Gemma at Bigger Bolder Baking has a stove-top ice cream cones recipe, so if that’s what you are after, you might wanna check it out. Place the egg whites and sugar in a mixing bowl and beat with a whisk until foamy. Add the salt, milk and melted butter. Give it a stir before adding the flour. Whisk until well combined. Pour about 1½ tablespoon of batter onto a silicone mat (that is laid on a baking tray) making sure you have enough space for 2. 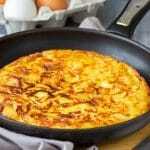 Spread both thinly and evenly into a round shape (about 6 inches/15 cm in diameter). Bake in a preheated oven at 400°F (200°C) for 6-8 minutes or until the edges are golden brown. When ready, take the tray out (leaving the oven on). Slide a spatula underneath one of the discs just to make it loose. Place the aluminum cone on top of the disk and roll the disk’s edge around it (use a kitchen towel or oven-proof gloves to avoid your fingers getting burnt). Roll into a cone shape. When done, place it onto a wire rack (leaving the aluminum cone inside) to cool down completely. Repeat with the second one. When done, repeat step 2 and 3 until you used up all the batter. Melt 2 ounces (60g) dark chocolate and dip each cone in, sprinkle them with chopped nuts or sprinkles and refrigerate. When set, insert a piece of a marshmallow inside the bottom (as close to the hole as possible) in order to seal it and prevent the ice cream from leaking through. Then dip them in chocolate. Refrigerate until ready to serve. 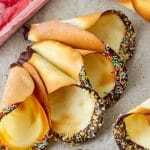 To make these cones you will need a silicone baking mat. Baking parchment turns soft and creases minute you try to spread the batter around. The batter should not be too runny. If it is, add more flour. 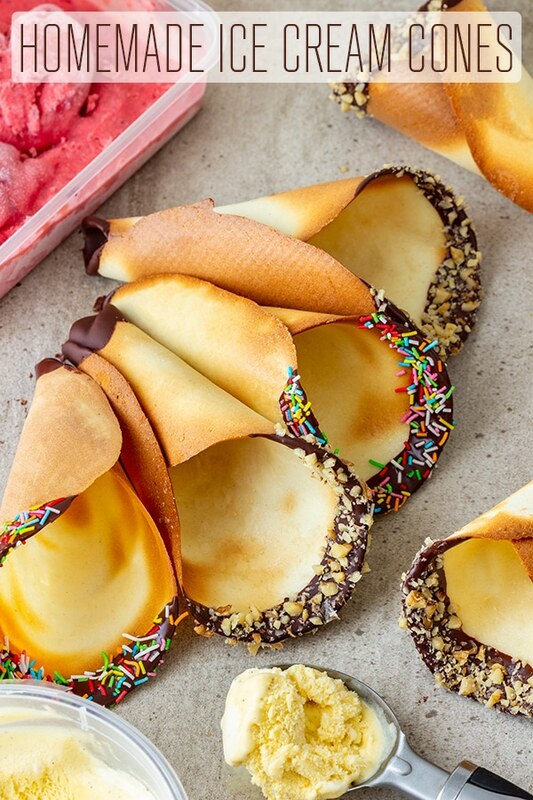 Store these ice cream cones in an air-tight container (plain ones) or in the fridge (chocolate coated ones). They should last up to 3-4 days. The baking time may vary. This depends on your oven as well as on the thickness of each disc. The number of the cones you will get out of this recipe will depend on how thick your cones are as well as how big. I got 8 cones (each disc was about 6 inch/15cm in diameter). You only need 2 aluminum cones/dummies to make these. 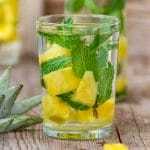 Simply reuse them for the following batches. I used 2 large marshmallows that I tore into small pieces that fit the hole in the bottom of each cone. So delicious! I love a good ice cream cone, perfect treat! I love that you made your own waffle cones and the chocolate and nut rims sound fabulous!!! Pass the ice cream! WHAT A NEAT AND CLASSY IDEA! MY KIDS AND GUEST LOVED THEM!! Wow. I never would have thought to make homemade ice cream cones. Love this idea, especially since you can customize them with all your favorite flavors. How fun! These cones look so easy that I bet it would be fun to make with my nieces!! I especially love the ones dipped in chocolate! I have always wanted to make my own ice cream cones your recipe seems fairly easy for me to adventure on trying to make them. Nothing like homemade. Let me know how it went if you give it a go so! 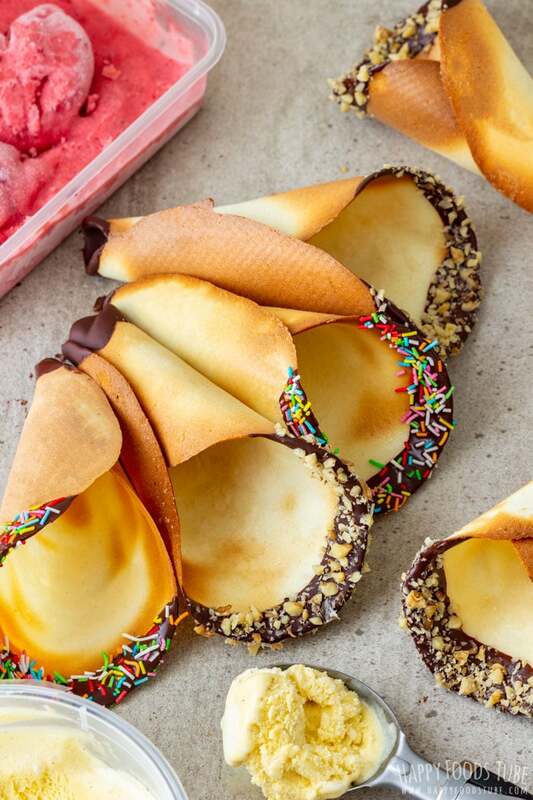 These homemade cones are simply perfect! I love how easy it is to make the batter!